Mr. Jay Glassman, on rt., Physics teacher. 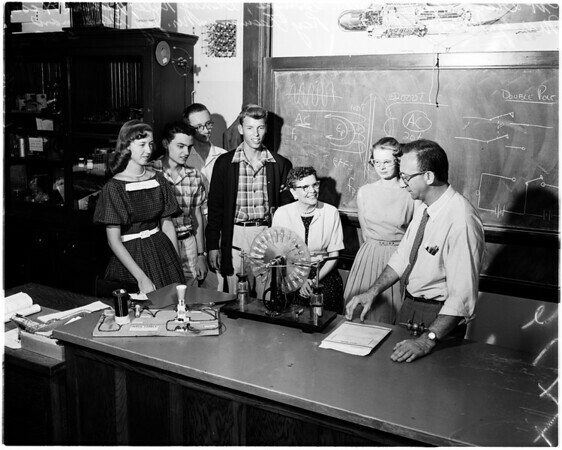 29/30: In office, L to R Front Miss Ray Feeman, Bill Levings, Diane Odell, Danny Rule, Marilyn MacDonald, Richard Hess. ".